Without a doubt, the Adster team could not live without the data crunching and insight packed into the goodness called Google Analytics! With Google Analytics 360 Suite upon us, it seems appropriate to look back its humble roots. Back in 1995, a small company called Web Depot (later called Quantified Systems) was founded by Paul Muret, Jack Ancone, Brett Crosby and Scott Crosby, providing web hosting and business development in San Diego. After two years of helping companies build their online presence, the idea of analyzing web traffic data took root and the Urchin project was born. Helping a key client process web traffic data in 15 minutes rather than in the standard 24 hours provided all the incentive Web Depot needed to focus & develop this software. They were clearly thinking “Big Data” before the term was even coined! By gaining a flagship client in Earthlink, a leading web host, Urchin rapidly became the “go-to” standard for web traffic data analysis. Attending an industry trade show in 2004 led to an unplanned encounter with Google. After several months of negotiations, an agreement was reached and accepted on Brett Crosby’s wedding day! 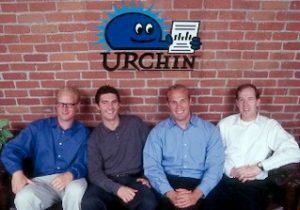 The web-hosted software Urchin on Demand was rebranded Google Analytics and released in November 2005, while the client hosted Urchin by Google was eventually discontinued seven years later. From a tool built for internal use, to a globally deployed application processing billions of web metric data points, Coupled with Google Adwords, Google Analytics is just one of the many tools Adster Creative uses to craft your digital marketing initiative. Our talented team works with you to understand your business and uncover new insights. Contact us today and see what we can do for you.